Rustic and real working demonstration forests (of old growth and new, with natural foothills, parkland, and boreal forest) are located in Kananaskis, Rocky Mountain House, Strathcona County, Whitecourt, Grande Prairie and now Fort McMurray (a pilot project). 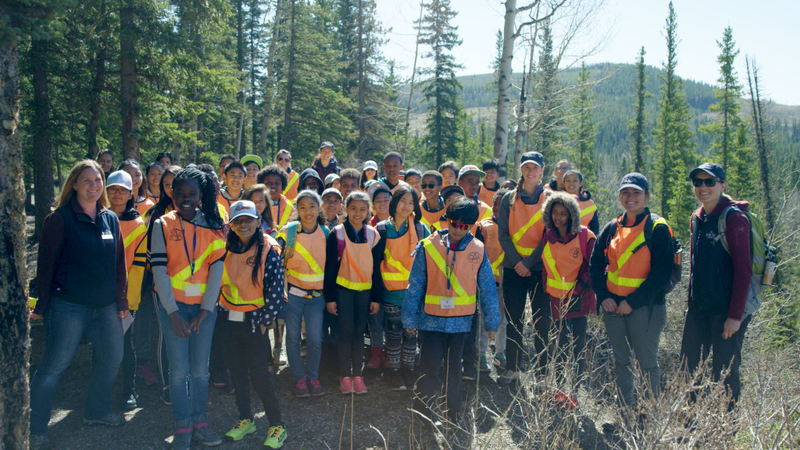 Some 6,000 grade 4-12 students and teachers from urban, rural and Indigenous schools enjoy unique, field-based environmental education programs at little or no-cost (transportation is often covered too, allowing the broadest geographical reach). Whether investigating forest ecosystems, planting trees to better understand the onsite forest cut blocks or using technology and innovative tools to examine real world projects, students gain skills that encourage them to become tomorrow’s environmental leaders or to even pursue careers in forestry, firefighting, wildlife biology or conservation. Inside Education has inspired 20 years of forest education field programming thanks to collaborations with industry, government, academia and the environmental community. The unique program is unmatched in Alberta, inspiring new projects and promoting environmental stewardship and the next generation of environmental leaders.